The party place is limited in size and we have a maximum of twenty four tickets with computer seating and about a dozen more without table space. Payment is done either via Swish (Sweden only) or PayPal, the ticket is reserved after payment is done. Please send an email to ae@dhs.nu alongside the payment, we will confirm the booking as quickly as possible. 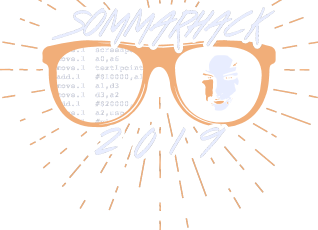 Thanks to Ultra of Cream, the Sommarhack visitors had the possibility to order a Sommarhack 2019 t-shirt at a very affordable price. 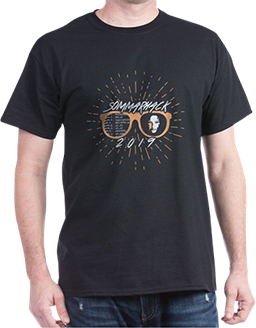 The offer is no longer valid as the shirts are now being produced. We'd like to thank Ultra a whole lot for his generous support!